The spring 2011 runways were full of color-blocking, ’70s glamour, florals and lace. But for those of us who shop at the mall, what does spring 2011 look like? Here’s a guide to the top 10 trends for spring and where to buy them for under $100! Pink: Pink is without a doubt the number one color on everyone’s minds this spring. There is no wrong way to wear it, and hues range from blush pink to brilliant magenta. Pick one that works for you! 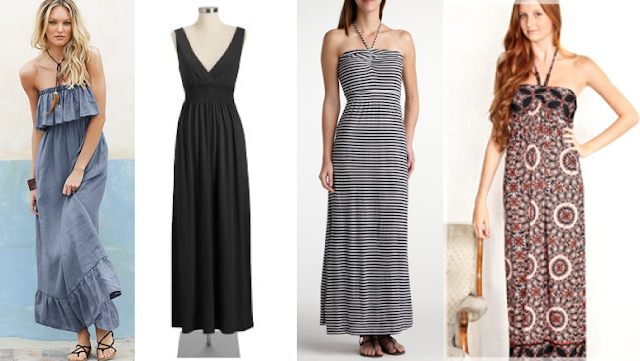 Maxi dresses: Maxi-lengths were seen all over the runway. Try this trend in real life with a print or material you love (you’re wearing a lot of it, after all!). Pair with flats for a beachy look or dress it up with heels for a night out. 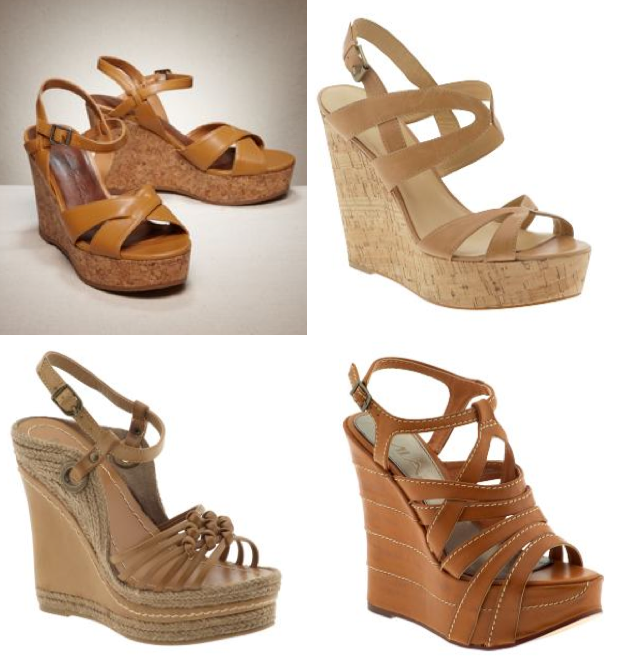 Wedges: One of the easiest ways to update your wardrobe is with new shoes. This spring, the ’70s are back in a major way, and with that comes a resurgence of the wedge shoe. Bonus: they’re adorable and comfy! Tie-Neck Tops: I like to think of a tie-neck top as the woman’s version of necktie. It’s professional, but still super-feminine. Wear it with boyish trousers or a pencil skirt to work, or with a sweater layered on top so that the tie hangs down the front! 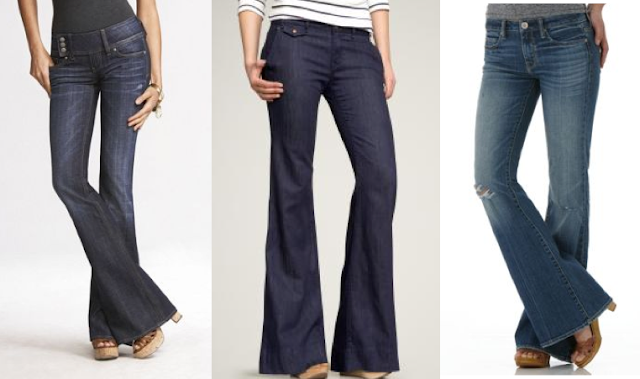 Flares: As another nod to the '70's, the flare jean is also a huge trend for spring. Wear with the aforementioned wedge shoe for some seriously long legs and a laid-back style! White Dresses: White dresses are everywhere. This delicate frock will look great with a summer tan, but it can also be worn under a green army jacket and brown boots to transition it through spring! Floral: Nothing screams spring like a bunch of flowers, and that is exactly what retailers are giving us this season. 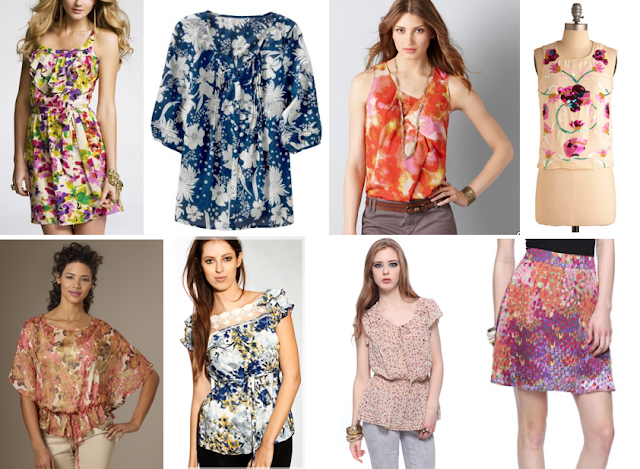 Florals come in all shapes, sizes and colors, so pick one that appeals to your style and body type, and wear away! Pool Hues: Bright colors in all shades were seen on the catwalks, but bright blue pool hues really stood out. Don’t be afraid to give these gorgeous blues and turquoise tones a try come warmer temps! Shoulders: It’s all in the details this spring—shoulder details, that is. Try an open-shoulder tee for a casual, funky look or wear this trend to work with a blouse that has ruffled shoulders. Lace: Lace popped up as a trend in fall 2010, and it’s still going strong! Pick summery, lighter pieces that will take you through the hotter season. YOUR TURN: What trends are you most excited for this spring? What pieces will you be adding to your spring wardrobe this year?